Heidi Klein at Dunas Lifestyle – Quinta do Lago – Algarve – Portugal. The only stockist in the Algarve. 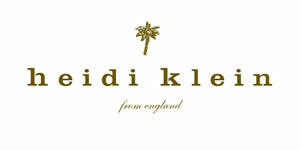 Heidi Klein has become renowned as the place to go to find chic swim and resort wear. Founded by Heidi Gosman and Penny Klein with the idea of making pre holiday shopping fun, the collections offer resort wear designed with outstanding fit, shape and supporting fabrics. We have now built a collection of our own loyal customers who simply will not choose anything else!